My love for reading and my love of gaming grew twined together; some of the first words I waded through were in A Link to the Past. Choose Your Own Adventure novels seemed like the best of both worlds. I could interact with the story in a meaningful, and often deadly-for-my-character, way by simply reading down one path or another. 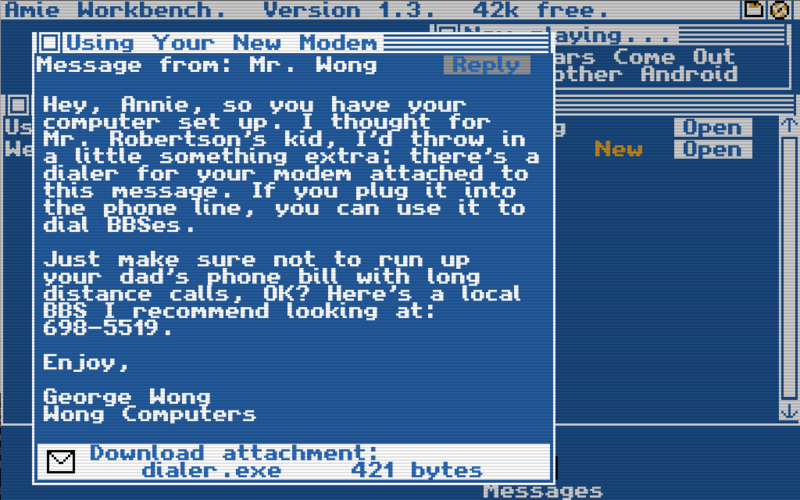 I was surprisingly slow to find interactive fiction games, or text-based games. Although I know I played a few text-based games before 2005, Harvey Birdman Text Adventure is the first I have real memories of working through. I had never watched the show before and didn’t like the story in the game, but I loved the control over the outcomes. It made me hungry for others and I played all of the ones I could get my hands on. These sorts of games have been around almost as long as computers, but seem to be experiencing a bit of a renaissance these last few years. There are a few different kinds of text based games. There are the visual novels that have few to no illustrations. Then there are games that have stagnant or minimally responsive environments accompanying the text. A few games have maps, or items, or interactive environments alongside the text. 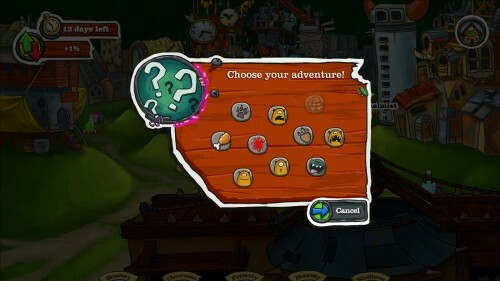 There are also the text based games that require you to type in your commands, and those that have multiple choices. Monster Loves You has an interactive screen and really fun illustrations. You begin the game as a little “morsel” in a cesspool with all of the other newborns. Immediately you begin constructing the monster you will one day be, and that is the point of the game. Dejobaan Games billed this as a life simulator, and it very much is just that. Every choice you make changes who you are as a monster, how long you live, and how your life is seen after you’ve died. There are incredibly endearing anecdotes to read and hilarious problems to solve. Throughout the game you gain stats in various categories and earn, or not, the respect of the monster community. If you’re clever enough to reach Elder status, and I wasn’t on my first play-through, new adventures are unlocked that let you decide the fate of the growing tension between monsters and humans. The illustrations in the game are unique and comical. I tried to imagine it as a straight text game and it didn’t work the same. While the writing is excellent, it is the quirky drawings that make it work. However, there are so many different options that multiple trips through the story are a must. Most recently I enjoyed a few play-throughs of Choice of Robots. The story begins with you as a grad student working for a jerk in a robotics lab. You follow your character over several decades as you build up your robot empire, your first robot ever by your side. You can choose to be aggressive or sweet, romantic or robotic, ambitious or lazy. It feels like I could play over and over and never run out of possibilities. In my first run I married my very humanoid robot companion, my second I treated my robots no better than slave labor and loved a human scientist, and in my third I was a military robot overlord and married a human journalist. The inclusion of romance in text based games is fun and thought-provoking. Thinking about the ways two people connect through dialogue is fascinating when you can play out several different conversations. I love helping my character dance through relationships and getting to see the web of consequences they incur in other aspects of the game. These types of games are not always as well publicized as other indie games. Luckily the text based community is strong online and there are websites that can point you in the right direction. The Interactive Fiction Database “is an IF game catalog and recommendation engine.” It is the place to go for finding and playing a lot of the older interactive fiction or text based games, as well as some of the more recent indie additions to the field. I found Digital Love Story this way. It is a super fun game that exists “five minutes in the future of 1988.” The game environment looks like a blue DOS computer screen. You navigate the world through attachments and emails. It’s free and can be downloaded online for your definite enjoyment. This is the kind of game I yearn for. It’s simple, sleek, and witty and keeps me wanting more. It doesn’t have the replayability of a Choice of Games IF, but not every book is meant to be reread. Sometimes I want to curl up with a good book. Sometimes I want to game the night away. Sometimes I don’t have to choose. If you’ve never tried out Interactive Fiction before, I encourage you to check out one of the many options available to you for free online.